Wine, Women, Song and Amaretti – What Could Be Bad? I love old paper. Posters, prints, newspapers, photographs …. Every piece of ephemera tells a story: whether its an old advertisement for a product which hasn’t been produced for decades, or a poster by an artist who has long been forgotten, every piece of paper has a history. 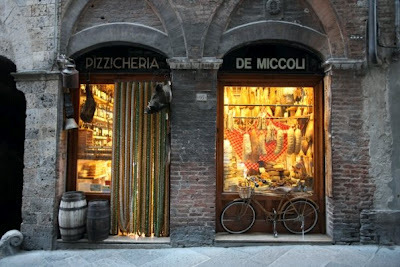 Because I am fortunate enough to travel to Italy on poster-­‐buying trips (some would call them binges), a large proportion of our posters feature Italian foods and wines. Whether its an oversize Fascist-­‐era poster for those fine Italian cookies known as Amaretti, or a small and hand-­‐signed maquette for the soft, unctuous cheese known as Bel Paese, even the quirky liquor known as Carpano. It’s all represented here in the gallery – giving new life to old paper, and proving to us – and you! – that old paper lives, and entertains, still. Previous Poster Romance Questionnaire: Christine Pickerell aka The Flower Lady! Next Cooking While Inspired by Food Posters…. The Carpano ad is my favourite – so much joviality. Can you still buy prints of these?